SEMA is different from just about every other major auto show on the planet. Its purpose is to shift focus from the automakers to the aftermarket companies that have become popular because of their custom works on some of the world’s most popular vehicles. Sure, some brands will be at the 2011 SEMA Auto Show showing off their works too, but for the most part, they share equal billing with the tuning companies. Many vehicles had their time to shine in the SEMA spotlight, but none more so than the plethora of Camaros and Mustangs - and even the Mopar-tuned Challenger. Every year, there’s a number of muscle cars that are given the royal treatment in terms of tuning, and this year has been no different. Maybe it’s the Americans’ obsession with good ol’ fashioned muscle, or maybe it’s the fact that all of the major muscle car makers are US born and bred. Either way, it was muscle car mania in Vegas, and we were there to take them all in. Check out our list of SEMA muscle cars after the jump! 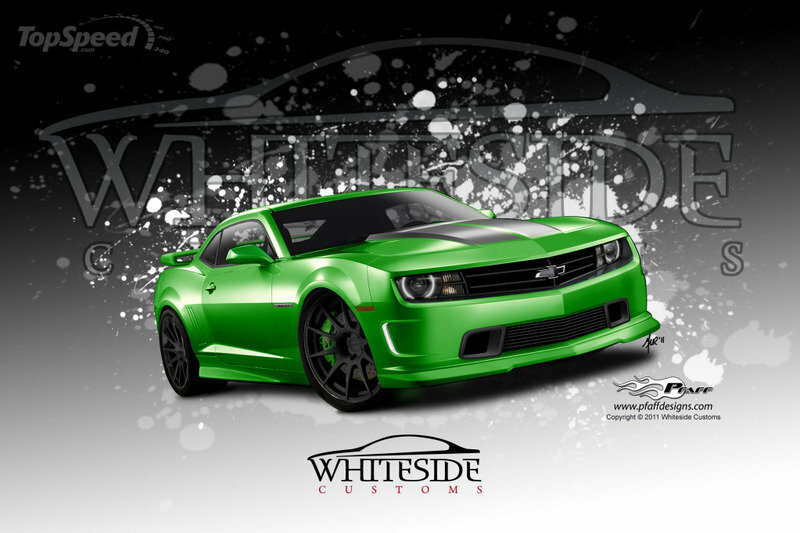 The Chevrolet Camaro from Whiteside Customs represents everything that you could want in a modified Camaro. Never mind that it took longer than expected - two years, in fact - the wait was well worth it. You think a Camaro has no chance against a Nissan GT-R? Whiteside Customs will be more than happy to set you straight. This one-off Chevrolet Camaro bears the name of Mario Andretti because he approved it. Yep, if it got Andretti’s seal of approval, you know there’s something special about this muscle car. 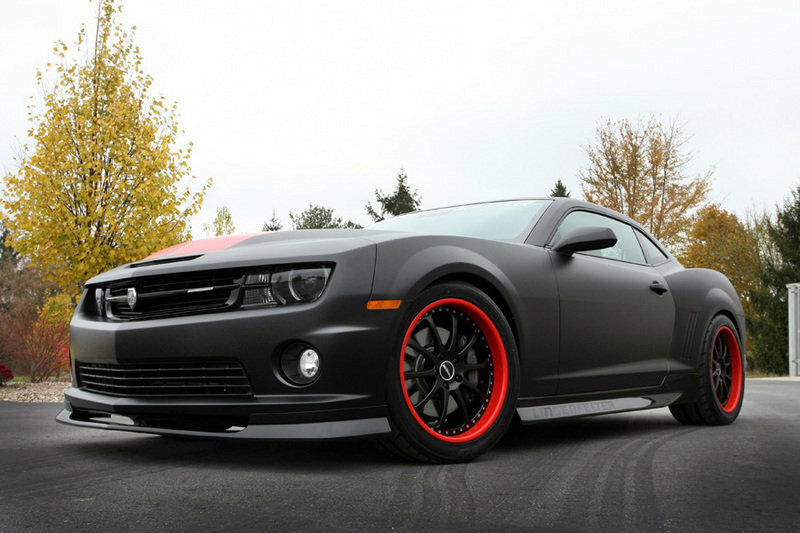 The Camaro SS comes with a few modifications, including a Street Scene-sourced carbon fiber front splitter and rear diffuser with a center exit exhaust. It also has a TVS2300 supercharger, a competition series dual center exit exhaust, and a performance twin-disc clutch, and Pro Street S coil overs from Eibach. Every time a Mustang makes news at SEMA, a Camaro comes in to deflect some attention. In this case, the two cars were built and designed by the same group of people. 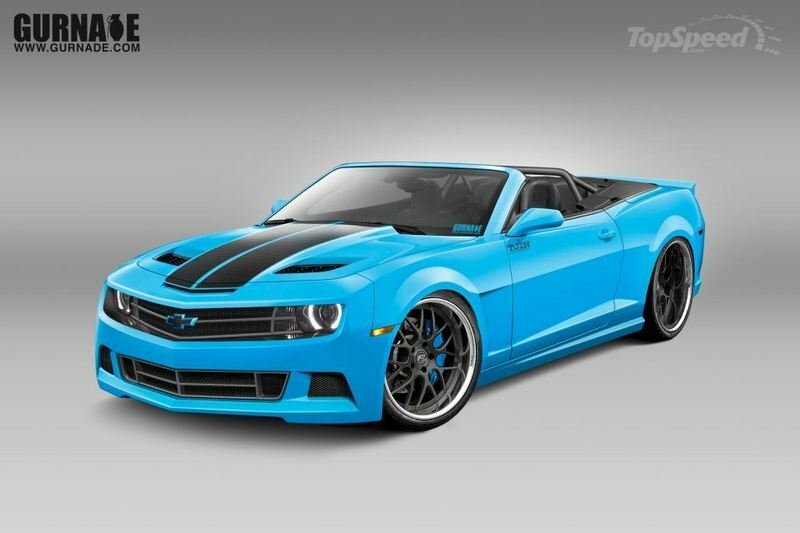 Tjin Edition will be bringing a modified Camaro Convertible to the dance, one that comes with a Gurnade / Tjin Edition ED body kit, a custom Smurf Blue Dupont paint finish, and a set of 22" Forgestar wheels to match the black double stripe running down the hood. 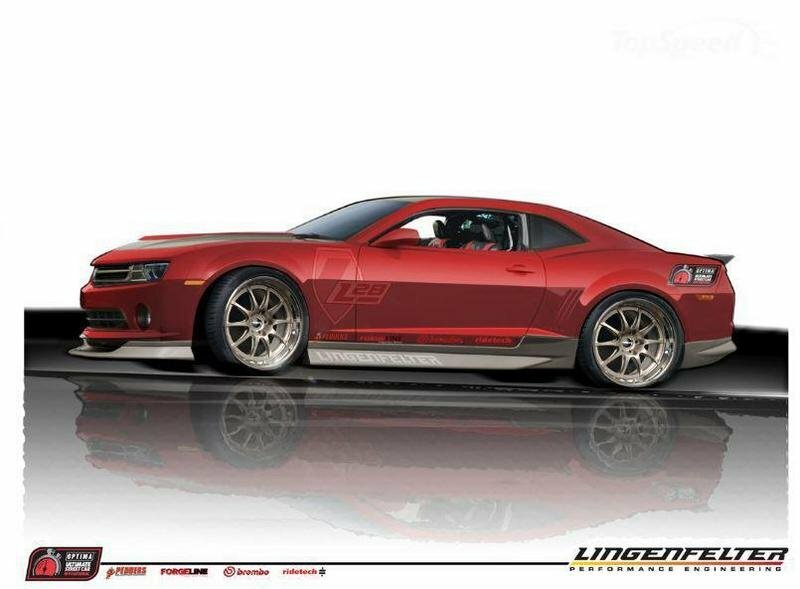 Lingenfelter will be bringing seven vehicles to the 2011 SEMA Auto Show. The first one that we managed to get a hold of was a Camaro L28 that has been tuned to high heavens in the form of a modified LPE LS7 engine that produces 681 horsepower at 6,700 rpm and 588 lb/ft of torque at 5,600 rpm. If this L28 Camaro will give us any indication on the rest of the Lingenfelter fleet that will invade SEMA, then we have a whole lot to look forward too. 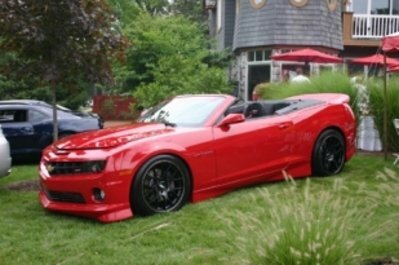 There’s a lot to like the Martin Z875, a 2012 Chevrolet Camaro Convertible that was customized by Grip Tuning. The heart of this tuning package is a custom 426 Ci supercharged and intercooled engine that brought the output of the Camaro Convertible up to a staggering 875 horsepower, more than double the output of the Camaro’s 6.2-liter V8 engine that produces 426 horsepower. 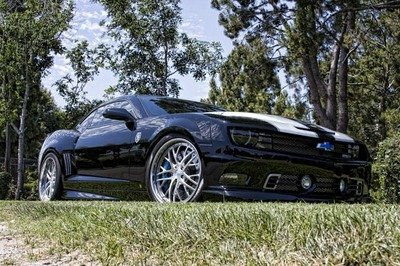 SEMA offers plenty of one-off muscle cars, but Hess Motorsports’ ZR1 Camaro is proof that just about anything can be done on a Chevrolet Camaro. The program offers a comprehensive list of upgrades, highlighted by a Jet Black finish that was custom brushed with 1st generation strips and coated four times over with high-end clear coat. The program also has a new front bumper, grills, side gills, and shaved doors, to name a few of the body modifications done. 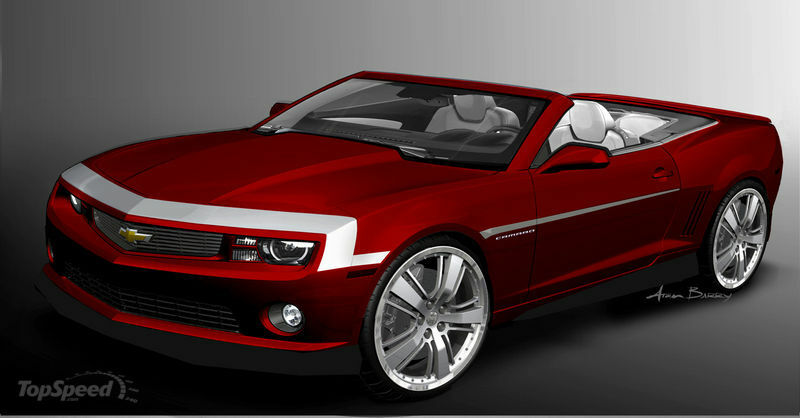 For the second year in a row, Chevrolet is bringing a Synergy Series Camaro to the 2011 SEMA Auto Show. 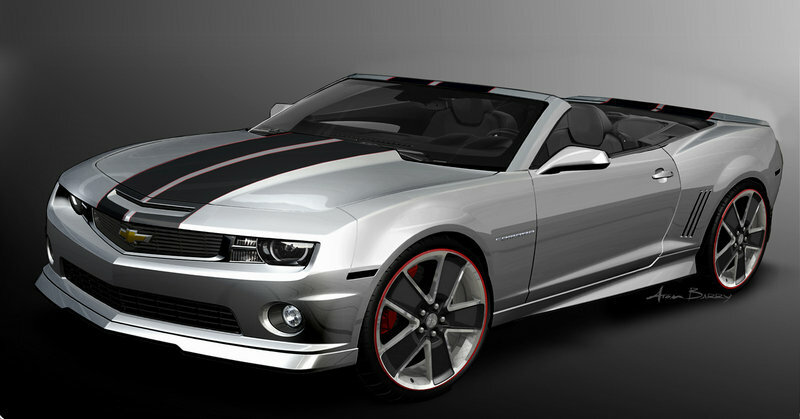 This year, the model is a Camaro Convertible with a Silver Ice exterior color with complementing black Synergy stripes on the hood and matching decklid and “mail slot” Synergy gill decals and red line inserts. It also has black leather and matching red accent stitching on the seats, center console, doors, steering wheel, and shifter boot, a new lighting kit, and new ebony floor mats with a “CAMARO” logo stitched in silver, to name a few. As the most powerful Camaro ever, the ZL1 reserves a space in SEMA just for that reason. The fact that Chevrolet rolled out a special Carbon Edition is just the cherry on the sundae. 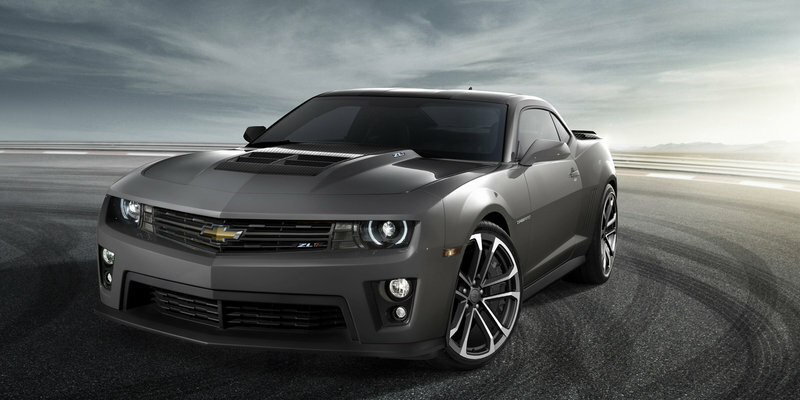 The ZL1 Carbon Edition has an Ashen Gray paint finish with carbon fiber elements, an exposed-weave carbon fiber “Mohawk” hood insert, a carbon fiber rear spoiler with stainless-steel wicker bill, and a new set of lightweight 20" Satin Black wheels with machined faces and Brembo brakes. And the best part of the whole program is that we didn’t give the whole list. Gnarly. It’s hard to keep track of all the Chevrolet Camaros in SEMA, but if there was one that’s considered as one of the most anticipated versions of the Camaro, it’s the 1LE Concept. The 1LE Concept is a modern-day take on the legendary 1LE option code designation, one that carries a Victory Red finish with a flat black hood and hash mark extensions, a satin black splitter, rocker panels, a rear spoiler, a sport suspension system that features Magnetic Ride Control, and a set of 20" racing wheels wrapped in Goodyear Eagle F1 Supercar G tires with Brembo brakes. The Chevrolet Camaro bears some interesting debate on how good - or bad - the car looks. 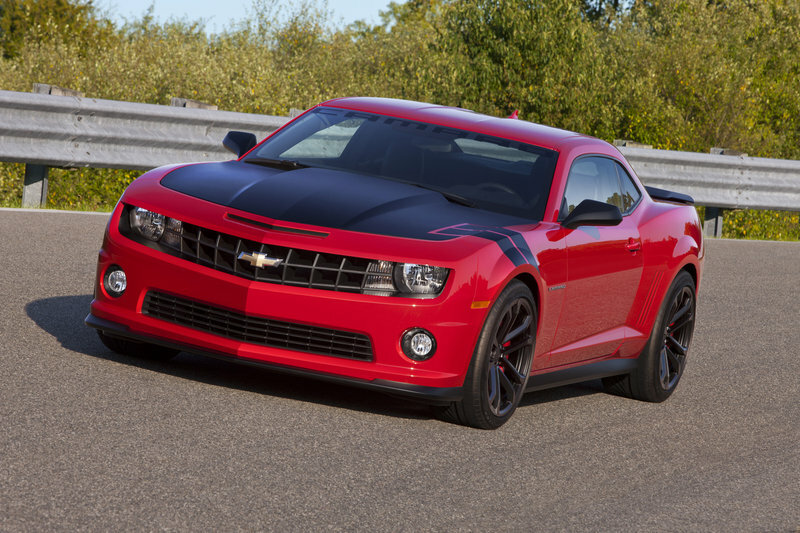 On the side of the former, the Camaro Red Zone Concept is a testament to the variety of looks it can have while still maintaining its awesome power. The Crystal Claret exterior color with a black convertible tonneau cover and a silver heritage stripe is only the beginning. It also comes with a new set of Chevrolet Accessories, 21x8.5-inch silver/polished-face wheels, Chevrolet Accessories body-color grille, and a convertible wind screen. American tuning firm, Lingenfelter, works with Camaros with the same precision and expertise as a doctor performing surgical procedures. So it wasn’t all that surprising to see them at the SEMA Auto Show with this beauty. Packing a whopping Magnuson TVS1900 intercooler into the Camaro’s engine, Lingenfelter was able to produce 550 horsepower and 550 lb/ft of torque out of the Chevrolet muscle car. Impressive numbers considering that the standard stock is only capable of netting 400 horsepower and 395 lb/ft of torque. 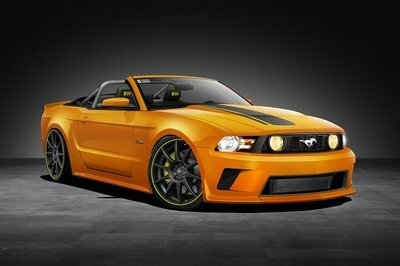 There are plenty of one-of-a-kind Mustangs that will be dropping by the SEMA Auto Show. The one built by Vaughn Gittin Jr and Ice Nine Group presents a cool custom built muscle car that was given some interesting modifications, including carbon fiber body panels, a custom BASF paint finish, and custom one-off badging, among other things. Katzkin Leather has built an outstanding reputation in the aftermarket industry for their excellent interior work on some of the most desirable vehicles on the market. 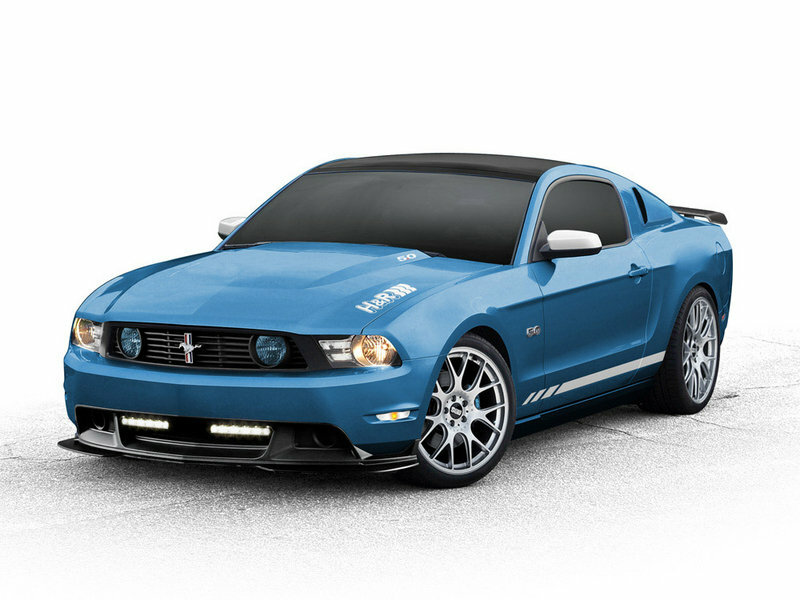 At the 2011 SEMA Auto Show, they’re putting their talents to good use by bringing a customized For Mustang Boss 302. 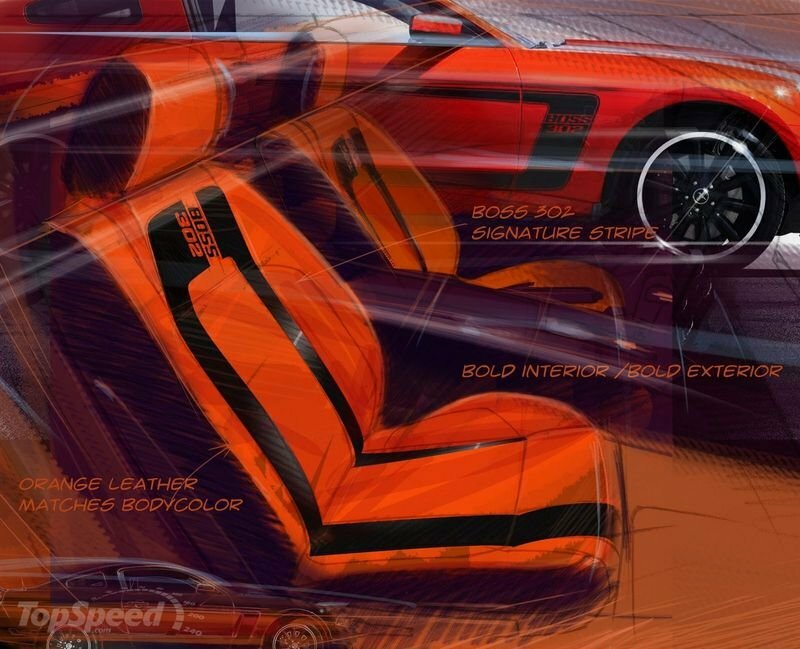 As the company’s name suggest, their package will mostly focus on improving the car’s interior, but we expect a few changes on the exterior too. 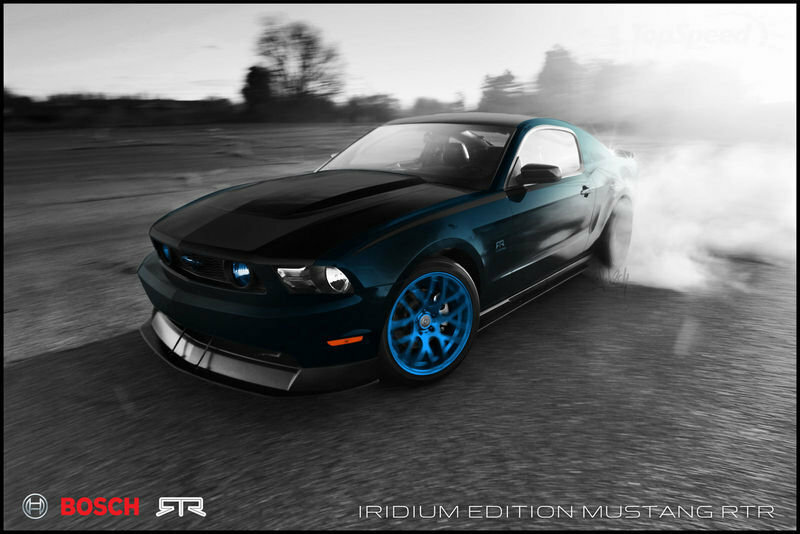 Of the many Mustangs that will be headed to the SEMA Auto Show, we don’t think there’s anything more interesting than the one Ford co-developed with UTI and Tjin Edition based on the 2012 Mustang GT 5.0. 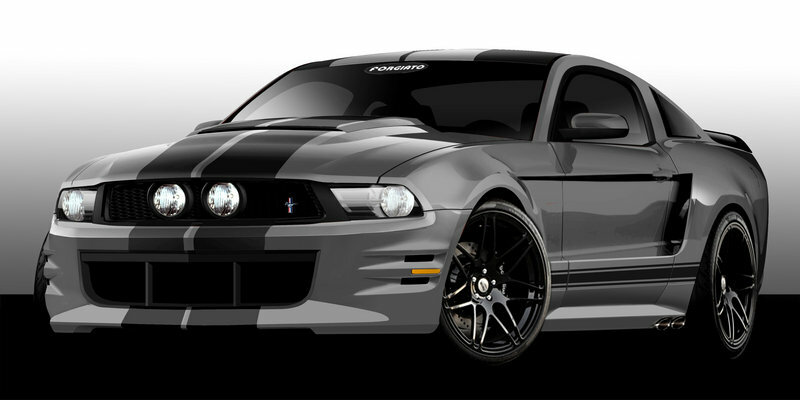 This one-of-a-kind Mustang comes with plenty of enhancements, a few of which include a custom Dupont paint job, 20" Forgestar wheels, Baer big brakes, custom interior, and, of course, a Paxton Supercharger. The Chevrolet Camaro Mario Andretti Edition has a rival in the Ford Mustang Signature Series by Petty’s Garage. 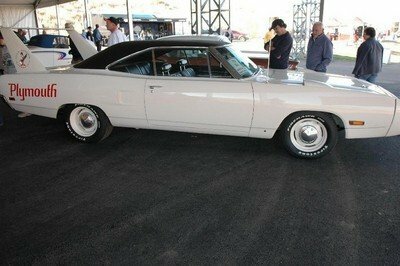 The latter will be displayed at the BASF booth at the 2011 SEMA Auto Show and was built by no less than the "King" himself. 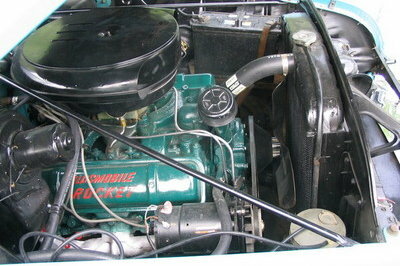 The bump on the hood hides a Whipple supercharger that will increase the total output to an impressive 650 HP. The car will also be equipped with an upgraded suspension system, bigger brakes, and an updated interior. From the minds that gave us the Ford Mustang "Blue Angels" Edition comes another piece of work courtesy of Creations n’ Chrome. Details behind this Mustang have yet to be revealed although it looks like it’s got some shiny red chrome exterior that goes well with its "Boy Racer" moniker. 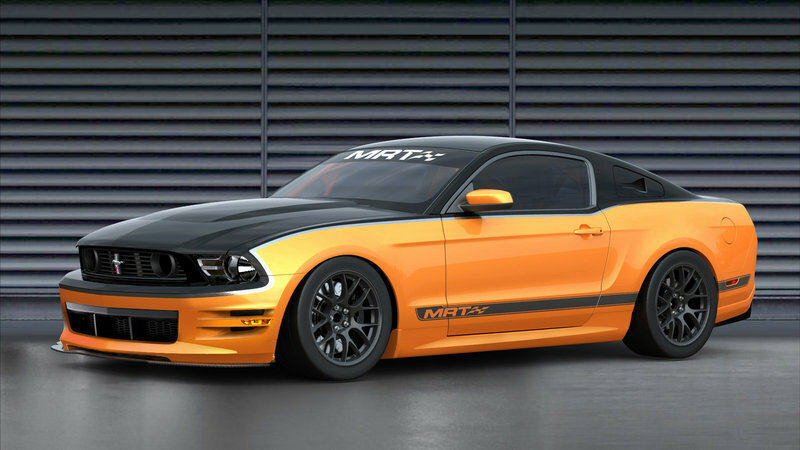 The 2012 Ford Mustang Boss Laguna Seca 3D Project by CoolFords is based on the most impressive Mustang of the lot: the Boss 302 Laguna Seca. 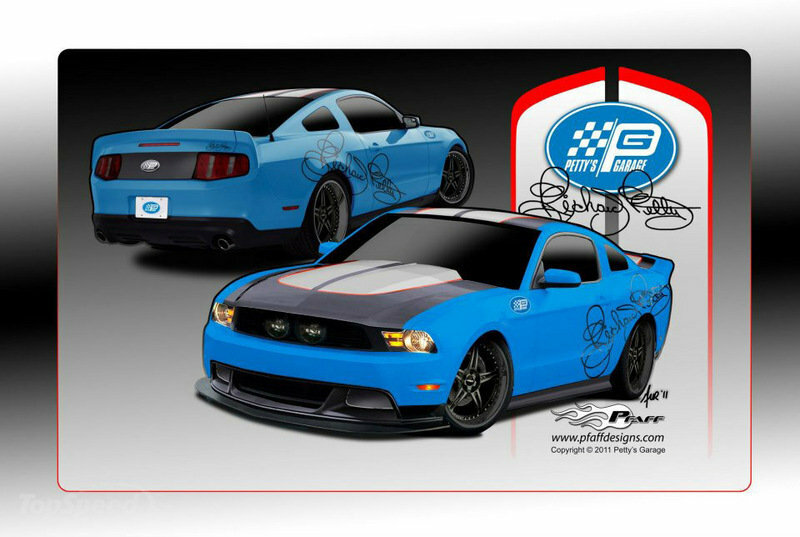 Developed in collaboration with RPM-3D, a leader in 3D Motorsports Graphics, this custom Mustang Boss 302 was built by CoolFords, an website dedicated to Ford cars and enthusiasts. The project is more of a "What If” model more than anything else, as in "What if we had the money to build a car, how would we go about it and what would it look like? The Kenny Brown Mustang GT-4T "Mango Tango" comes with a comprehensive aerodynamic package that features, among other things, a fresh "Mango Orange" paint set-up, a sport rally bar for added support, Sparco racing seats and harnesses, a 6-piston Baer brake system, and a new set of Weld Racing lightweight RTS wheels wrapped in Michelin Pilot Sport tires. That may mean much in the bigger scheme of things, but on top of all that, the custom Mustang will also feature an industry best: Kenny Brown’s very own GT-4 Chassis and Suspension Package. The 1965 Ford Mustang GT Retro Stang is modeled after a 1968 Mustang and carries plenty of inspiration from the old Mustangs, including a 14" longer hood and ’68 and ’69 Mustang sheetmetal hand grafted into the nose, tail, and rear quarter panels. There are many exterior modifications surrounding this car, turning into a retro-looking fastback with a modern twist. Under the hood of the Retro Stang lies a set of Dynatech long-tube headers and X-Pipe, a JLT cold air-intake, an APR carbon fiber engine cover, and an SCT tune that significantly improves what is already an impressive powertrain on the retro-modern muscle car. 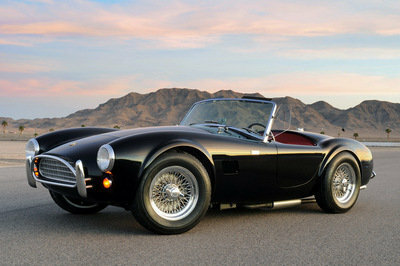 Suspension set-ups notwithstanding, H&R Springs knows so much more about customizing vehicles. Their new program for the Ford Mustang proves just that. On top of the their own H&R Springs Coil RSS sport suspension, front and rear sway bars, and Triple C camber adjustment bolts, the package includes superior performance with a Flowmaster stainless steel exhaust, Edelbrock E-Force supercharger, and Pirelli P Zero front and rear tires. Created by the famous Ring Brothers, the 1965 Ford Mustang Producer was built with an extensive custom program that turned the old classic into a modern marvel. 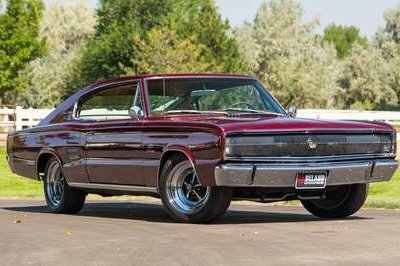 Of the many modifications done on the car, this is what we loved the most: a Keith Craft 351/427 stroker engine mated to a Tremec T56 six-speed transmission and capable of producing a metal-bending 740 horsepower. 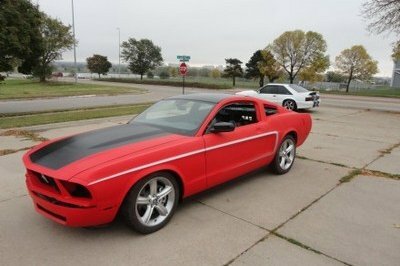 740 ponies for a ’65 Mustang! Now that’s what you call awesome! 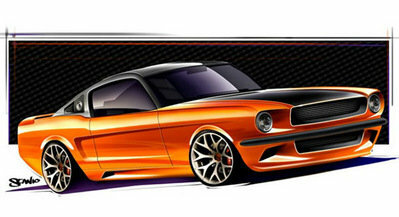 Ford is bringing four custom Mustangs to the 2011 SEMA Auto Show, one of which is tuned by MRT Performance. The package for this muscle-clad Mustang included a ProCharger supercharger, an MRT stainless steel MaxFlow h-pipe, and half-back exhaust system. These features were joined by an H&R coilover performance suspension, an MRT custom hood, MRT custom paint accents, and and Sparco race seats. 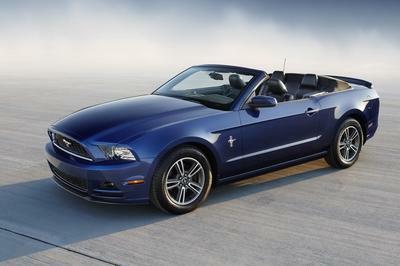 A lot of aftermarket companies have fallen in love with the Ford Mustang. Even for a company like Forgiato Wheels, that involves a comprehensive program that includes a wide from body fabrication kit from TS Designs, a body kit from 3dCarbon Boy Racer, a splashy Matte Pearl Silver paint finish, and Forgiato’s own set of customized 21" and 22" three-piece wheels. 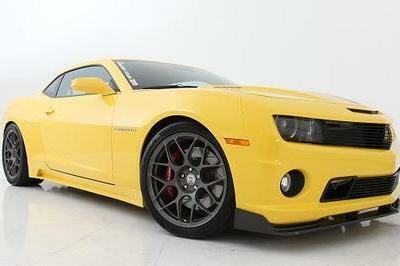 Chalk this one up to Galpin Auto Sports’ overall tuning brilliance. 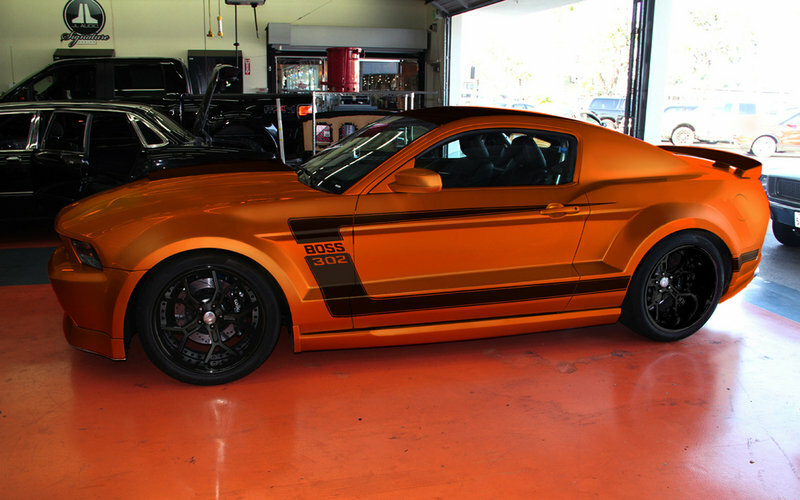 The Boss 302-X carries an extensive program that features a new steel widebody panel by hand, a Matte Orange Pearl PPG paint finish, complete with the Mustang Boss’ unmistakable graphics, a new set of one-off 20" wheels wrapped with Pirelli P Zero tires, and a ProCharger supercharger system that took the output of the Mustang Boss 302’s 5.0-liter V8 engine all the way up to 780 horsepower. 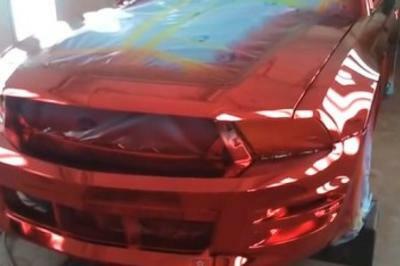 Hurst’s only entry to the 2011 SEMA Auto Show is this custom Dodge Charger that will not only be displayed at the floor, but will also be auctioned off on eBay with all proceeds going to SEMA Memorial Scholarship Fund. 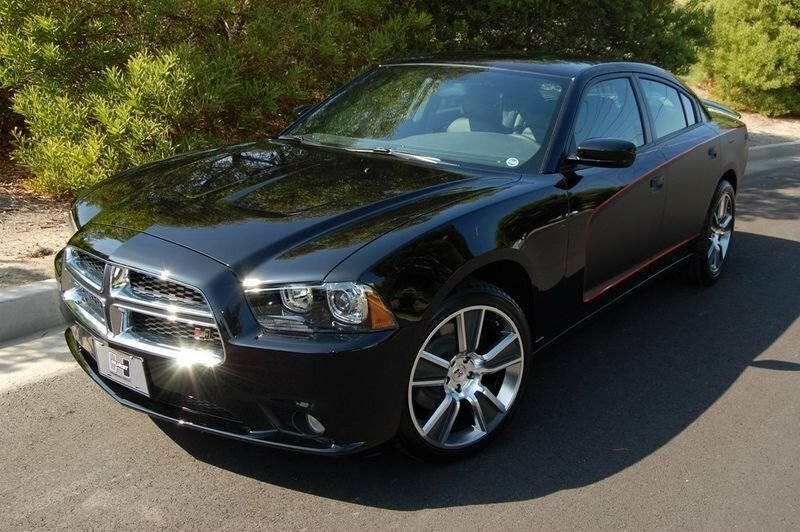 As far as modifications are concerned, the Hurst Edition Charger will feature an Eibach suspension setup, a Flowmaster exhaust, Hurst badges, wheels and tires, and a Katzkin leather interior with red and black Hurst logos in the headrests. That’s just a small sample, though. There’s plenty more where that came from, courtesy of Hurst. 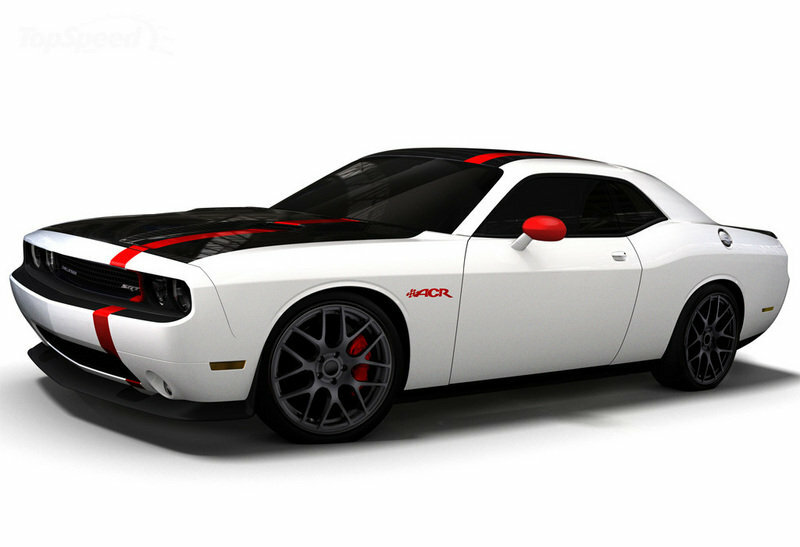 All the Camaro and Mustang love fest going on at the 2011 SEMA Auto Show should be wary of this Mopar-tuned Dodge Challenger SRT8 ACR: a track focused, street-legal machine that is looking at stealing the show. 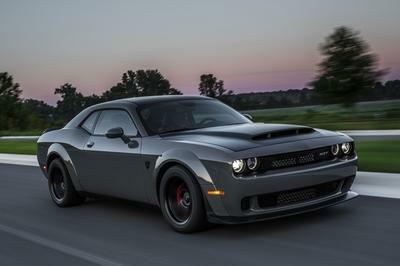 With Mopar in its corner, this Viper SRT10 ACR-inspired Challenger will pack plenty of meat, not the least of which are performance modifications on its 470-horsepower 6.4-liter HEMI V8 engine. How much improvement? Stick around and find out. 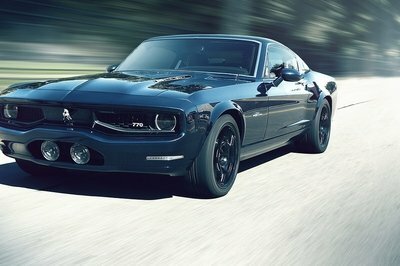 SEMA Auto Show is overflowed with lots of awesome and striking muscle cars, and I bet this show is really successful! Anyway, I must say that I am truly a fan of a masculine car that’s why I appreciate this show so much! 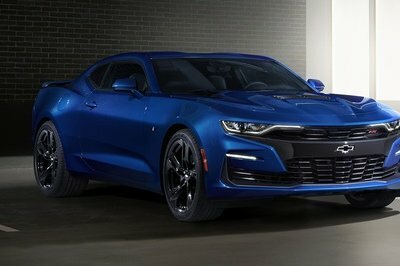 I noticed that most of the good looking muscled cars are coming from Chevrolet Camaro, which is no doubt why they win for two consecutive years as one of the hottest muscled cars todays. Anyway, Mustang is also great but not as awesome as the Camaro.